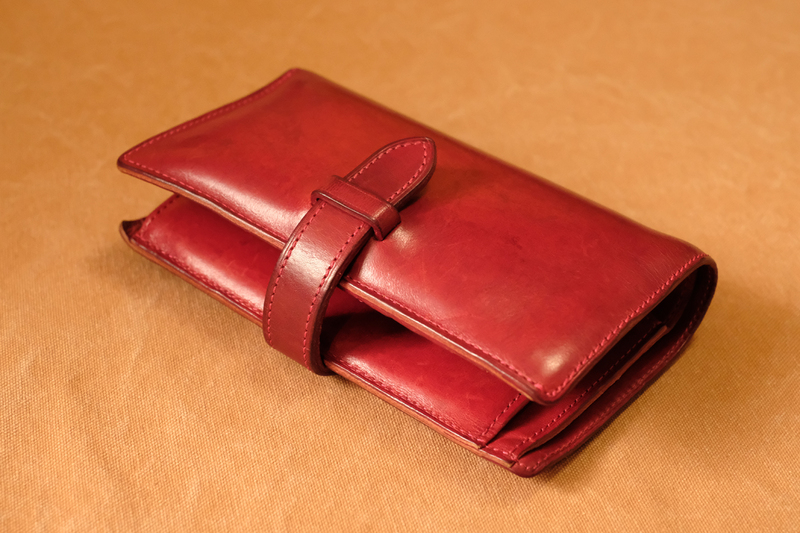 This is our bi-fold purse Fasten. 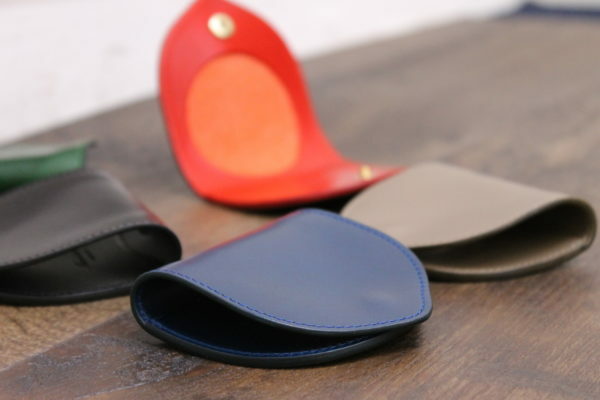 It has a unique figure with vertical shape and the strap closure which is quite different from other types of purses. 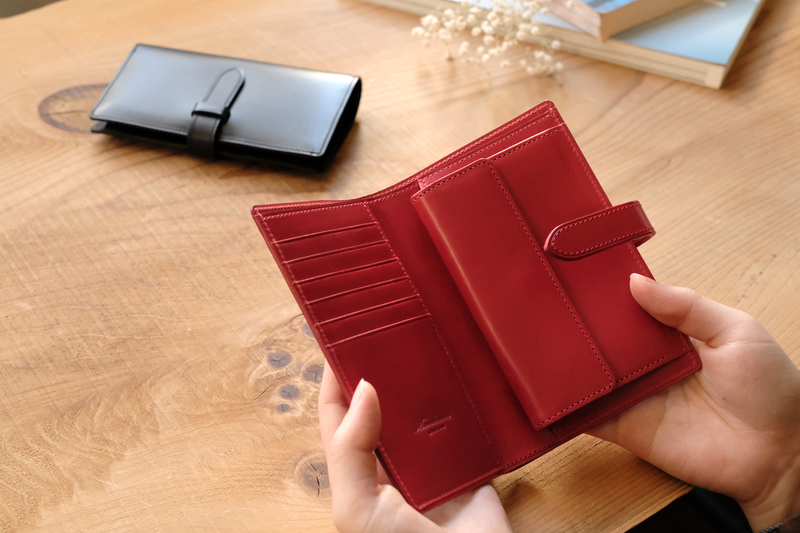 This kind of shape that looks like a schedule planner isn’t only the designs, but also has important roles to contain a lot and to be stylish at the same time. 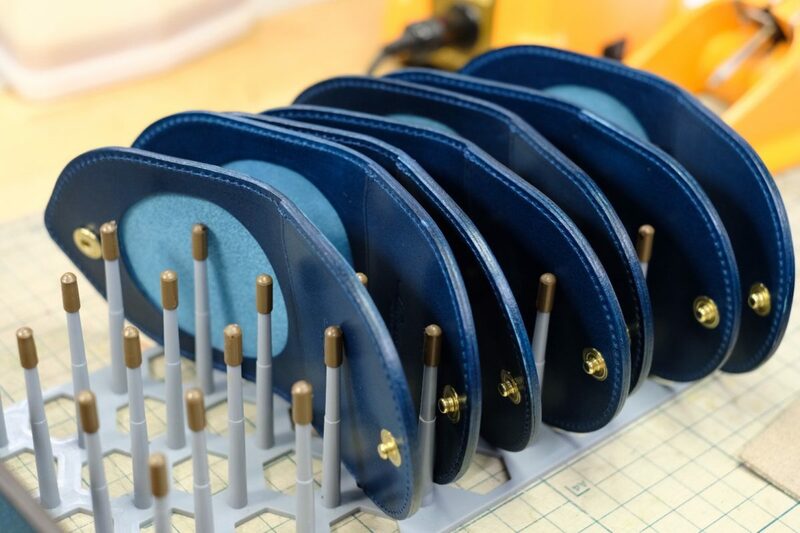 There’re a lot of points when selecting a new purse and capacities might be one big factor. 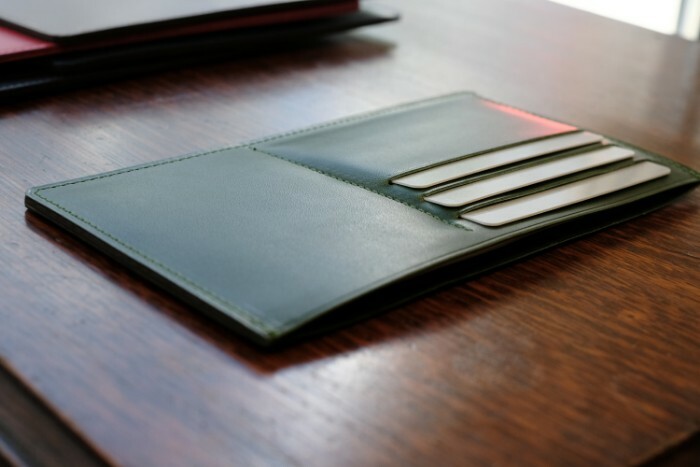 You can put not only typical things like cards, coins, and bills but also more in it. 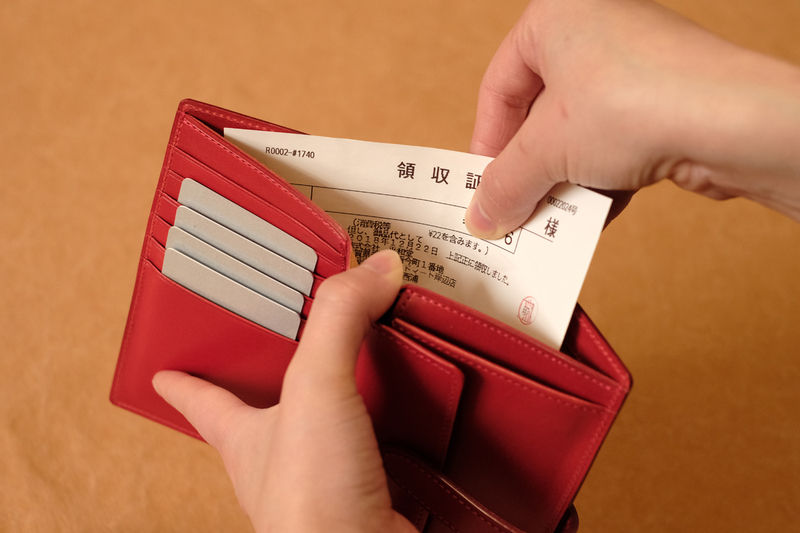 For an example, there’re many types of receipts and some needs to be folded otherwise you can’t put inside a standard purse. 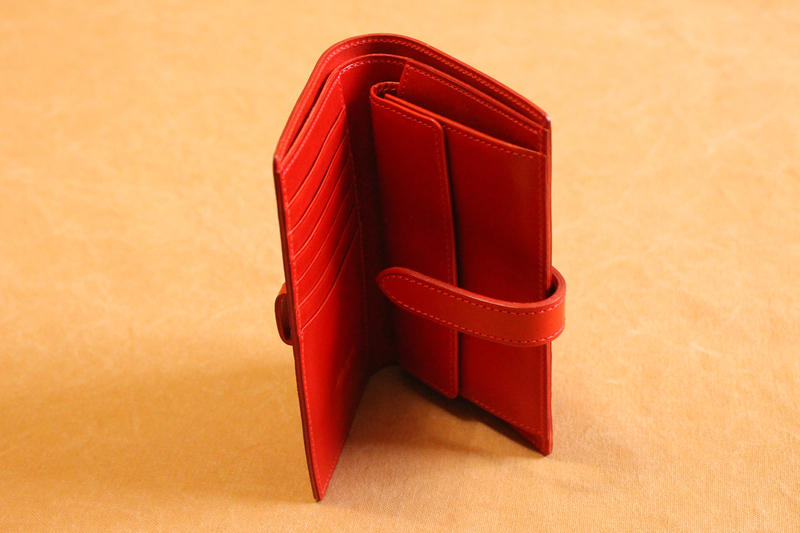 Fasten has 147mm height so you can put it in the note pocket without folding. Furthermore, you can put tickets for theaters or museums which is a bit bigger compared to bills. 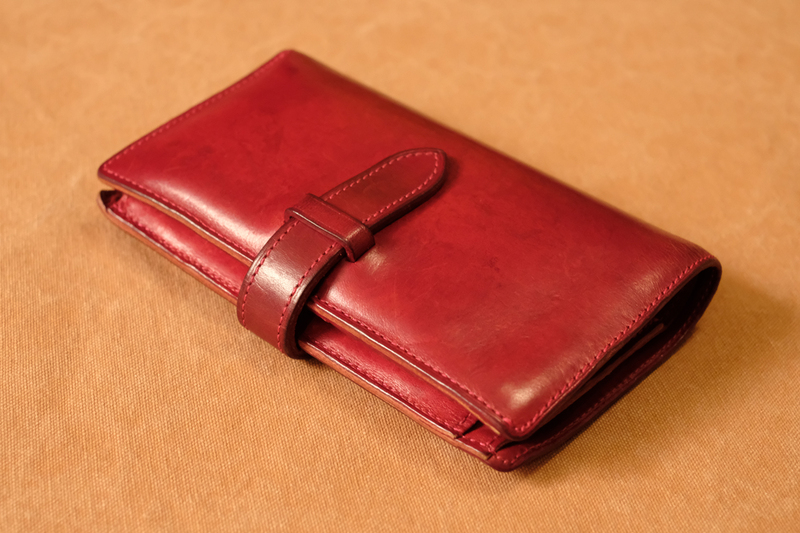 By adding some convenience to the normal function of a purse, it can be used more widely than a normal one. The biggest dilemma of a purse which has big capacity is that it’ll get bulky when using. Especially coins and receipt can easily make your purse bulky even if you’re trying to reduce them. 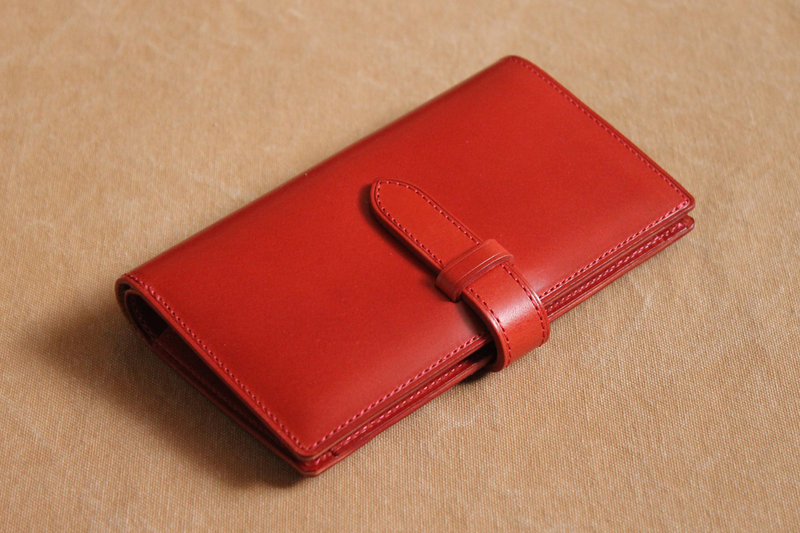 Fasten can put a lot inside but it is designed not to be unhandiness for its capacity, and get rid of having stress. 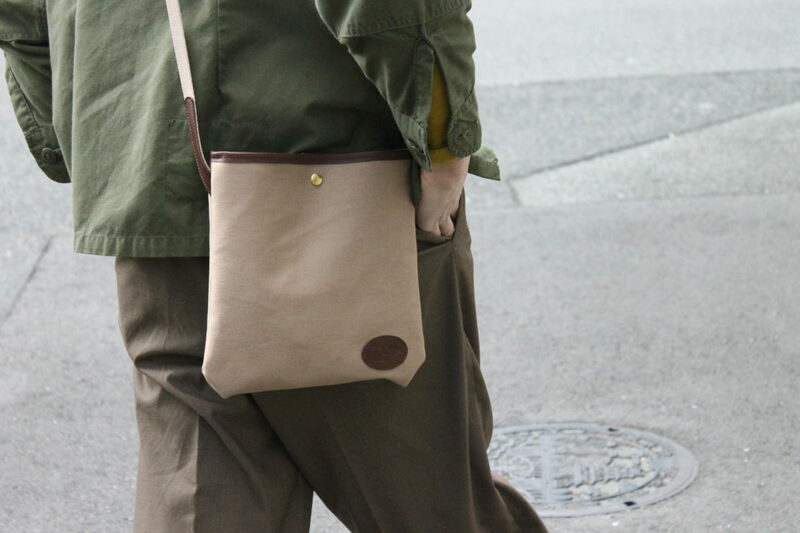 By using a strap closure instead of a button or zip, it let you close the purse adjusting by the thickness. Even if you put a lot inside, you still can use it stylish. The cashless society is now developing rapidly and our lives are changing with various convenient services. But there’re some attractions or convenient things that won’t change. 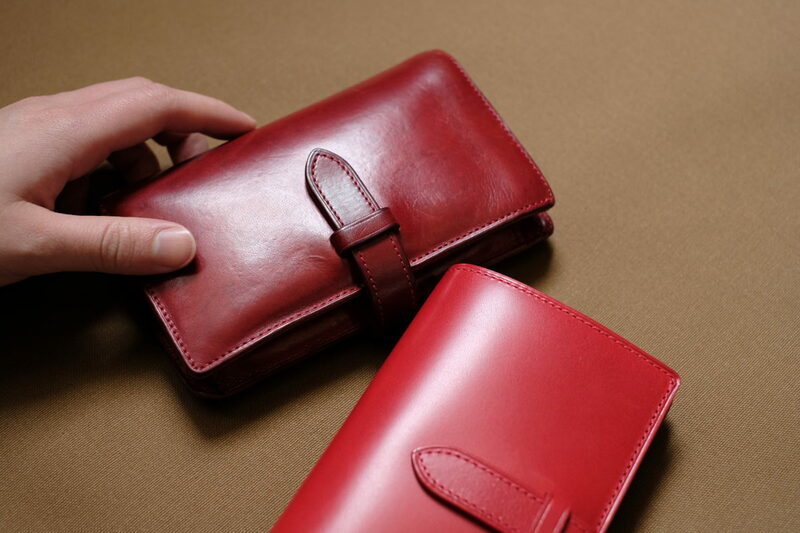 With the attractions of leathers, we will create the products pursuing the universal function that matches the society.